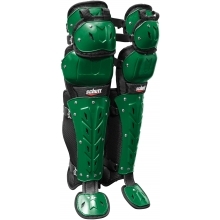 Schutt Air Maxx Scorpion Triple Flex Catcher's Leg Guards, 16"
The Schutt Air Maxx Scorpion leg guards have a sleek contoured design of the knee cap which gives the catcher a flatter, more stable landing area along with more coverage for the inside of the knee when dropping to block balls in the dirt. 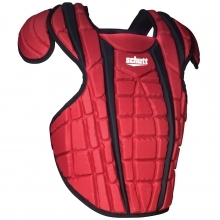 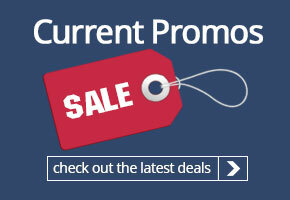 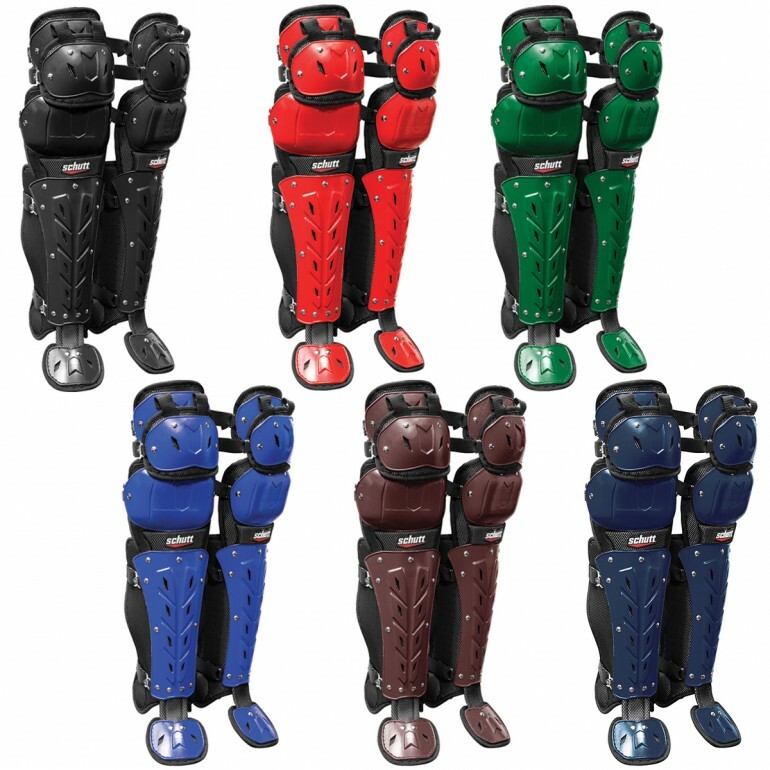 D30 energy lock technology in the knee pad is soft and comfortable but upon impact will absorb and disperse energy. 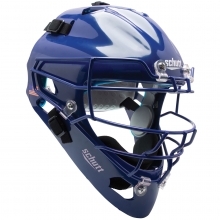 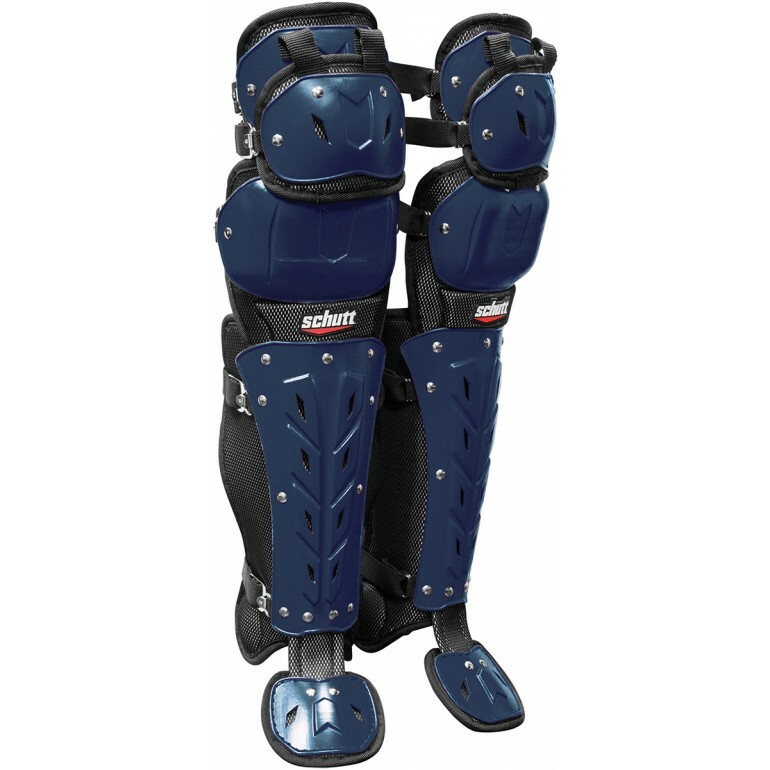 The Air Maxx Scorpion leg guards also feature a thinner and lighter optimized shin plate and side ankle protection.